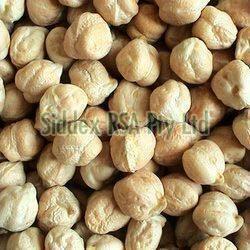 The White Chickpeas, provided by us, is widely recognized due to its quality. We are a quality-centric company and thus, we make sure that the packaging is done under the strict supervision of experts and professional. We make use of the finest packaging material and thus, keep our products safe from the external factors. Our organization is graded amidst advanced traders of the product in Johannesburg(South Africa) as well as diverse marketplaces.